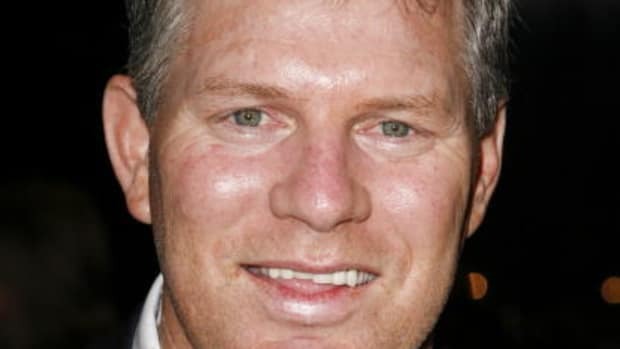 Not six weeks out of prison and Lenny Dykstra is wasting no time raising funds for what we hope is another billion dollar business venture or bid to reclaim Wayne Gretzky&apos;s house. If you can get yourself to White Plains this weekend, you won&apos;t be disappointed. Not only that but you&apos;ll have the satisfaction of making your dreams comes true on the cheap; Paul O&apos;Neill, who&apos;ll also be in attendance at the event, is charging $99 for signatures and $25 for inscriptions, making LD a relative bargain. A DVD sleeve that holds a copy of the HBO episode of Real Sports with Bryant Gumble in which Jim Cramer had this exchange with reporter Bernie Goldberg: Jim Cramer: I think people don&apos;t think of Lenny as sophisticated, but I&apos;m telling you Bernie, not only is he sophisticated but he is one of the great one&apos;s in this business. He&apos;s one of the great ones. Jim Cramer: Lenny Dykstra. I know. I KNOW. It&apos;s like, Lenny Dykstra. It&apos;s like, c&apos;mon, Jim, Lenny Dykstra? Yeah. Lenny Dykstra. You&apos;re on your own for the inscription. Don&apos;t hold back.